As I have mentioned before, the problem with working in a school is that I get quite a fair bit of time of work each year. These past 5 weeks have gone slowly, and I really can't wait for the new term to begin next week. Because I've been bored these past few days, I thought I would write another song - but this time I thought "how about creating a music video to go with it". I present to you my latest musical masterpiece. Its yet another Commodore 64 remix (this time being a remix of one of my favourite Commodore 64 songs from a game called Comic Bakery, and originally written by Martin Galway). The video that accompanies the song was rushed, and put together in literally 30 minutes or so, so I apologise for the appalling acting, and dodgy special effects!!! 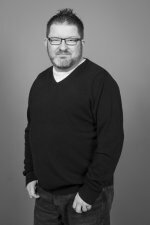 - Watch out for an oscar-nominating performance from Kieran Wilson towards the end of the video. Yes.. I know, I have a sad obsession with the Commodore 64! * You can download the video here (WMV - Windows Media Player required) . Be warned that the file is approximatly 20mb in size so a broadband connection or equivalent is recommended. I really hope you like this song - I'm rather proud with how it turned out. Your guide to the place to live in Laindon.... The Five Links Estate (AKA Alcatraz). The Five Links Estate was a housing estate made up from 6 (yes - SIX, so why Five Links?) sections. You had Brendons, Handley Green, Somercotes, Newbury Side, Mellow Purgess, and Laindon Link. Brendons and Laindon Link have both been renamed and Handley Green is in the process of being renamed to Beeston Courts. 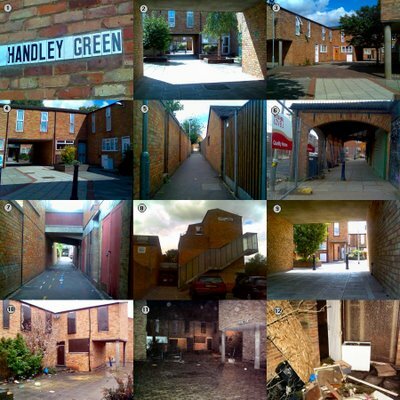 I lived for 25 years of my life at 176 Handley Green up until I moved to Evesham in 2002. The estate was built I believe in 1970 and wasn't a bad place until only recently when the council decided it would be a good idea to redevelop the entire estate. The estate is nearly unrecognisable to what it was once. Now, the place looks run down, and I don't think it will be long before they decide to just pull down the whole estate. Shame, as I have so many fond childhood memories of this place. 3. A random block from Mellow Purgess. Actually, it just so happens that a good friend of mine lived at the house with the white door. Spent many times round that house many years ago. 4. Back to Handley Green - my sister lived at that house 10 years or so ago. Note that all the blocks look more or less the same. If you have never visited the estate before, it is very easy to get lost. Apparently the entire estate has around 1600 house/flats so that gives you an idea of how big the place is. 5. One of the many alleyways on the estate. Not a great place to walk down in the dark - the street lights hardly ever work. This alley is in Somercotes and leads to a couple of shops. I use to walk this way when I went to school. An old granny lived in a house on the right of the alley - her garden backed up onto the alley and I always waved to her every morning!!!!!! 6. My old local shops. These shops are located in Somercotes (actually, it is now just one shop). It was once a newsagents run by some Patel character and a small general groceries store run by a really friendly family. They closed shop some time ago, and Patel took over both units. 10. I took this picture over a year ago. 227 Handley Green was the home of one of my best friends (Steven) and I spent a great amount of my childhood round this house. The house has since been demolished, and a carpark and new houses have been built on the site. 11. As picture 10, I use to play Tennis here with Steven - and this is the view I had. 12. Steves old back garden. Laindon Shopping Centre was built sometime in the early 1970's, and has such major landmarks like Clock House (with the clock that very rarely tells the correct time). Many shops have been and gone in the centre over the past 30 years or so like Rumbelows, Godfreys, Laindon Lanes Market, Peachey's Fresh Fare, Internationals, plus many, many more. In fairness, during its heyday it was an extremely popular shopping parade, but in this day and age of supermarkets like Asda and Tesco, nobody wants to buy from small shops anymore. Still, the large amount of empty shop units in the centre is still partly because whoevever owns the centre is still overcharging on the rent for the units. I don't think it will be long before the whole centre is pulled down - infact, there is a rumour going around saying that IT WILL be pulled down eventually. 1. As you approach Laindon from the old Alcatraz Estate (The Five Links Estate) - Note the paths that haven't been looked after for years. When I was a little boy, I actually made a camp with a few friends beneath that bridge. 2. Walking over the bridge. The excitement as you approach Laindon Shops is getting unbearable. 3. Looking west while on the bridge, you can see Laindon Shopping Centre. The rusting sign at the entrance of the near empty carpark welcomes everyone to this wonderous shopping mecca. 4. Walking down the slope leading to Laindon Shopping Centre. To the left (up the steps) is the Laindon Health Centre. The building on the right with the boarded up windows was once the thriving Laindon Library. When it closed, it was empty for some time before being turned in some African Centre - a place which apparently tried to promote African culture (in Laindon?????). They moved out and the building is now empty. 5. Walking into Laindon Shopping Centre. Be careful not to get crushed by the enormous amount of people who visit these shops. The old library (and ex African Centre) is to the right, while old abandoned offices are to the left. At the far end of the picture is an empty unit which I remember was once a place you could rent out computer games. Even today writing is still on the windows offering potential customers the chance to rent out "Amiga, Atari ST, Game Gear, IBM, Gameboy, and Megadrive games". 6. This is it - Look at that!! 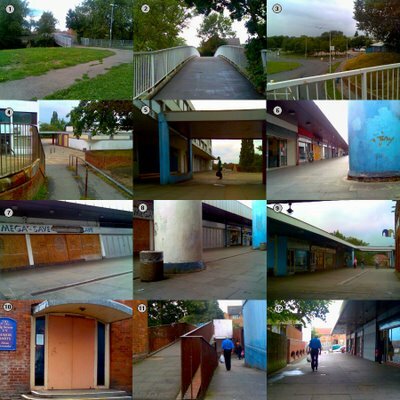 Laindon Shopping Centre in all of its glory. Remember, this picture was taken during the towns busiest period (about 11.30am in the morning). On the left is some cheapo shop selling.... crap. It was once a large Kwik Save. Laindon has a couple of those cheap shops that sell total tat to people. You know the ones!!!!!! 7. Mega Save (which has been shut for over 7 years now I think!!!). It was once called Lo-Cost, and before that I remember it being the freezer shop "Cordon Bleu". The shop to the right of Mega Save was where I once worked. Peachey's the Fruit and Veg shop!! I worked there from October 1995 till around December 1999. The shop closed a couple of years ago I believe. 9. At the other end of Laindon Shopping Centre. A Fish and Chips shop is the first unit on the left, and they are actually quite good. We had an Abbey National bank here once but they went ages ago. The unit remained empty for ages before being turned into an Adult Shop. Speaking of banks, we had just about every major bank in the centre once.... many moons ago.... I think the only one that remains now is Lloyds TSB. Oh, to the right of the picture is the Laindon Shopping Centre's only place to go at night and get pissed..... The Joker!! It wasn't a bad pub when I lived in Laindon, although I'd hate to say what the place is like now. Just looking at the boarded up entrance in Picture 10 kind of puts me off going in and getting a drink. 10. The boarded up entrance to The Joker public house. How welcoming. 11. Slope leading down to EVEN MORE shopping delights in Laindon Shopping Centre. If you carry on, you will find the towns toilets - I would advise not to use them... you don't know who lives in there. 12. As you can see, this part of the centre is as lively as the rest. We have an off-license, a card shop (where my mum works by the way!! ), a pizza place, oh and more importantly a Funeral Directors. And there you have it. Visit Laindon Shopping Centre, and try not to spend too much money. Well, we arrived home last night after travelling for nearly 5 hours (bit longer than usual). Had a nice time back in Laindon - pity we couldnt have stayed longer. We didn't get to do much while we were away simply because we just didn't have the time. We did manage to catch up with our friends Pete and Gemma (and their new baby Amy), and Dan, Jodie, Tamsyn and Jaysen. Always nice to catch up with them. I have to admit that as of late, I have been feeling a little homesick. I think some of it comes from the incident which happened when me and Michelle were on Holiday in Weymouth with her family. Things were said, and it just makes Basildon seem a little more 'welcoming'. I'm sure if it wasn't for my job, we would seriously consider moving back. I lived in Laindon, in the same house for over 25 years, and will always consider it home. Problem is, with the major housing development and improvement project which is currently underway on my old estate, everytime we return, the place just looks more and more different each time we visit. All my childhood play areas are being ripped up, and redeveloped into houses and flats and it kind of makes me feel a little sad. When we arrived last Thursday night, as we got off the train, the differences in the estate were more noticeable than ever before. I took a load of pictures so that I can remember the place before they transform the whole estate into something that is completely unrecognisable to me. I have too many memories (good and bad) of that place and would hate to lose them. Well the school summer holidays are nearly over (thankgod). ONE WEEK TO GO!! I just want to get back to work next week and for things to return back to normal again. Well, after years of saying "no, I will never do it", I have decided to apply for my provisional driving licence. Actually, I completed the application form in May, but never got round to actually posting the thing. The problem about living in Evesham is that it is extremely difficult to get anywhere unless you drive. You can't really depend on public transport, and the trains are rare (well, you might be lucky and get one an hour). We are going to Essex to see my family and friends today back in Laindon, and it would be so much easier if I could just drive it instead. We're looking forward to getting away.. even if it is for only a couple of days. Catching the 17:38 train and should reach Laindon at 21:01. Just a quick update on my Colosseum 3D object. 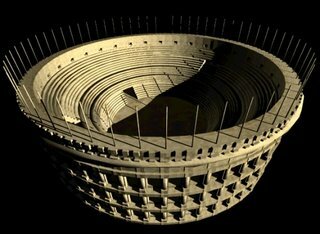 I've nearly finished the arena. Some corridors exist but need texturing, lighting and adding finishing touches. Once the arena is finished, I then need to add some buildings around the outside and edit the surrounding landscape (hills etc.) before I have a finished 3D scene which I can then animate and use in a VR movie which I have in mind. 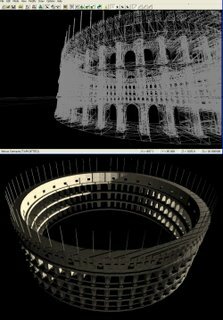 I've been bored recently, and after watching some program about the Roman Empire earlier today on the Discovery channel, I thought I'd attempt to build my very own Colosseum in 3D... so..... here is a quick post to reveal my latest 3D creation (in progress). I've constructed the main building, and all I need to do now is create the corridors, seating area and the main arena. Did I say that I'm bored? Roll on the 5th September... Thats when I go back to work again! Here is another song which I literally wrote is just over 30 minutes this afternoon. 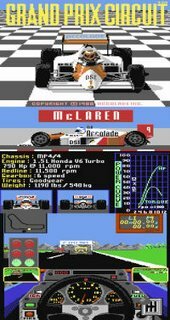 Its another Commodore 64 remix, this time based on the theme tune to Electronic Arts/Accolade's "Grand Prix Circuit". The original version was written by Kris Hatlelid in1988. The unique thing about this song is that it is the first ever 'chip' song that I have ever written. The original XM file that I was working on while writing this tune (in Skaletracker, before converting it to MP3 for you to listen to here) came in at an amazing 46k which is really small for me - hard to believe that in theory, the song could easily be loaded up into the Commodore 64's ram and still have 8k left over!!! Anyway, I hope you like it, and please leave comments... good or bad. Download my "Grand Prix Circuit 06 Remix" MP3 here. Speaking of which..... is there anybody out there who is actually reading my blog? Please leave a comment as I'd hate to think that I'm doing this for nothing!!!!!!!!!!!!!!!! See you again soon for my next post!! It works!!!!! It finally works!!!!!!! Hopefully this will be the last 'techie' post for awhile. I got Windows installed earlier, but everytime I started it up, the computer would shut down on me before I could do anything. It then occured to me - I've just added a new 200Gb drive, and recently I've been getting a message saying that not enough power was getting through to my GeForce 6600GT. First, I disconnected the DVD drive and started the computer... It worked fine. I then reconnected the DVD drive and restarted the computer - it crashed on me again. I disconnected one of my hard-drives and restarted - it worked fine without crashing. ITS THE BLOODY PSU - Obviously it's not powerful enough. Its only a 350w PSU, so I've opted for a 550W PSU from Novatech. That should arrive Friday hopefully. In the meantime after disconnecting the internal DVD drive, I'm currently using my Laptops DVD drive as a shared network drive which I can access wirelessly from my desktop PC - ingenious!!! "I canna fix it cap'n... Shes gonna blow"
I'm going to throw this bloody computer out of the window soon! For the past few days I've been having to sort out various problems with my desktop PC. 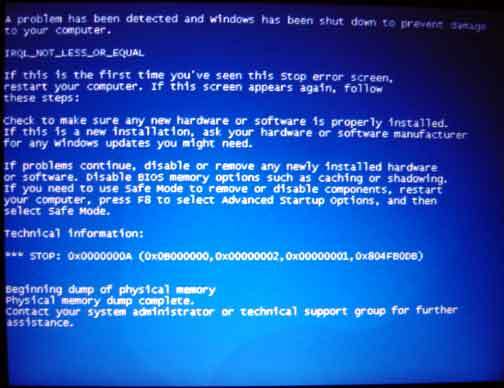 I've had a hard-drive pack up on me, a faulty memory module, and now when I try to reinstall Windows XP, I'm getting this BSOD (Blue Screen of Death). A quick scan on the internet reveals no definitive solution to this. Some people say it may be due to a faulty PSU, the way IDE devices are configured, right down to a mouse driver!! Infact, Microsoft haven't an idea either. I have tried swapping around my hard-drives and DVD-writer. I've now got my booting drive as master and another harddrive as a slave on my Primary IDE channel, and my new harddrive as Master and DVD writer as slave on my secondary IDE channel. So far so good. I am currently in the process of installing Windows XP and it appears to be working, but I'm not holding my breath as I got this far last night and I thought it was all working ok. In the meantime, I am having to resort to using my laptop. I shall keep you all posted. (sigh) I never had this problem with my Commodore Plus 4 and Commodore 64. 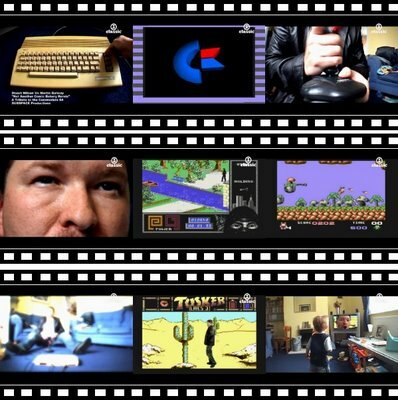 After my last post, I don't want to make this blog yet another boring IT Technician's blog, but I've just found a wonderful little program on the internet which I must tell you about which I think is extremely useful if like me you like to emulate the Commodore Amiga on your PC. One of the biggest pains with Amiga emulation is that a standard PC floppy disk-drive wil not read Amiga disks. However, some wonderful chap has created a little program called ADFREAD that allows Amiga disks to be read by a PC disk drive and converted to an ADF image file for use with most Amiga emulators (namely WinUAE). By using a special floppy filter driver which can be downloaded here, "the driver exposes command-level access to the uPD765a floppy disk controller, making it possible to read/write many non-standard and copy-protected disk formats", as mentioned on the website. 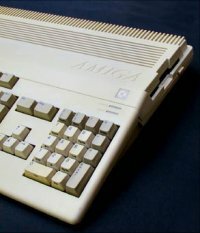 This means that by using two standard PC floppy disk drives, installed on the same cable, Amiga disks CAN be read without the need for any hardware modifications or attachments. It has taken me ages to convert only half of my Amiga disks using CrossDos on my Amiga 1200, transfering them from my Amiga to PC - now I can do it all from the comfort of my desktop PC in half the time. Of course, you can't beat playing on the real thing, but sometimes emulation is just more practical (besides, I don't think Michelle would appreciate another computer setup taking over the house). I haven't been able to post a message recently because I've been having a few problems with my computer. Managed to get it up and running again, although I'm not sure for how long, so I think I might be popping over to Novatech to see what bargains they might have. 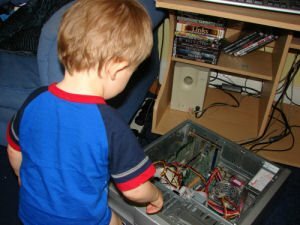 I never buy a fully built/configured computer. I think its always better to build it yourself - you get EXACTLY what you want, and at a fraction of the price you would normally spend if you were to buy one from say PCWorld, or Currys. One of the teaching assistants at my school contacted me, asking if I could fit a new harddrive into her computer. Apparently she had taken the PC to a reputable PC repair company and was told that her harddrive had completely failed and needed to be replaced. Now, they were going to charge her £70 for a measly 40Gb drive (I've just bought a 200Gb drive £25!!). Fortunatly she realised that was quite expensive and ended up getting one elsewhere for £20. Anyway she still had to pay £50 just for having a look at it. Well, I had a look. I took the old drive out and put the new one in. Powered it up - nothing. Now, the two things I thought it could be were that the IDE cable was damaged (which it wasn't by the way), or that the IDE connector which the hardrive was connected to on the motherboard was faulty. I took the new drive out, and put the old one back in again, connecting it to the same IDE channel (secondary) as her DVD Rom. Not ideal, but it worked fine. Her harddrive booted without a problem and now her computer works fine. Now, what the f*$@ was that Computer Repair Company (whose name I shall not mention here) talking about??? They charged her £50 for having a look at her computer, mis-diagnosing the problem, and trying to flog a 40Gb harddrive for £70 when in fact she didnt even need one!!!!!! BEWARE of IT specialists who haven't a clue what they are talking about!! Oh... Me and Michelle sat down and watched Poseidon last night on DVD - absolutely fantastic film, and one which I think is actually better than the original. Highly recommended. I've been going through my hard-drive looking at the hundreds of unfinished songs I've started to compose but have never got round to finishing. 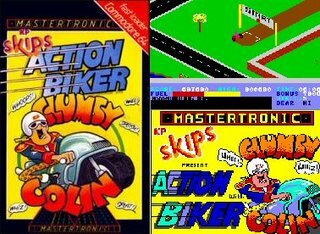 Action Biker was released for the Commodore 64 (and other 8-bit computers) in 1985 by budget publisher Mastertronic. You played Clumsy Colin (the star of the KP Skip adverts at the time) and had to ride around an isometric 3D town collecting bike parts before entering the bike race at the end of the game. Hope you like it. Comments welcome.